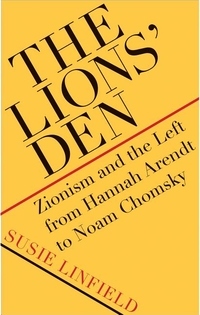 In this lively intellectual history of the political Left, cultural critic Susie Linfield investigates how eight prominent twentieth-century intellectuals struggled with the philosophy of Zionism, and then with Israel and its conflicts with the Arab world. Constructed as a series of interrelated portraits that combine the personal and the political, the book includes philosophers, historians, journalists, and activists such as Hannah Arendt, Arthur Koestler, I. F. Stone, and Noam Chomsky. In their engagement with Zionism, these influential thinkers also wrestled with the twentieth century's most crucial political dilemmas: socialism, nationalism, democracy, colonialism, terrorism, and anti-Semitism. In other words, in probing Zionism, they confronted the very nature of modernity and the often catastrophic histories of our time. By examining these leftist intellectuals, Linfield also seeks to understand how the contemporary Left has become focused on anti-Zionism and how Israel itself has moved rightward.